Zachary Bergemann, 7, a Wolf, and his sister Mackenzie, also 7, watch anxiously as his car is checked in at the start of the derby. 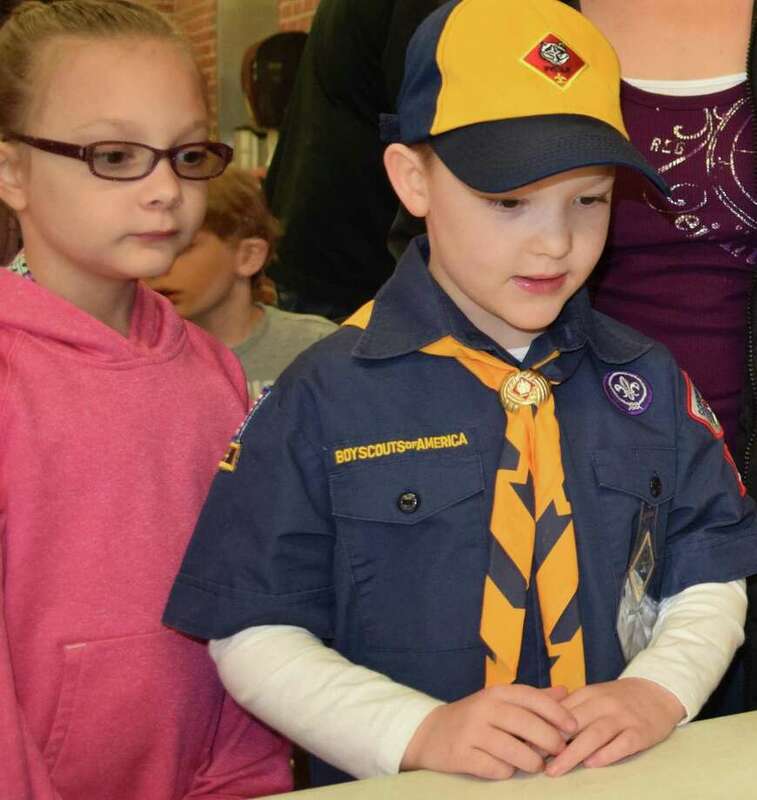 Cub Scout Pack 467 in New Milford held its annual pinewood derby Jan. 19 at the John Pettibone Community Center. Following races for each Cub Scout level, as well as siblings, awards were presented. For more photographs, visit www.newmilfordspectrum.com.